Songwriter Rodney Saulsberry's compositions have appeared on his albums as well as in film, television and commercial productions. Most recently, the Rodney Saulsberry/Peter Brown collaboration, "Who Do You Love" was featured in the #1 box office hit horror film "Paranormal Activity" from Paramount Pictures. 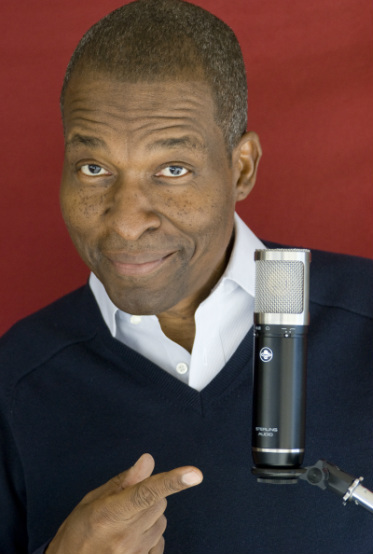 Saulsberry also collaborated with legendary jazz bassist and film composer Stanley Clarke to write the Nat King Cole-inspired pop ballad "We Are Love" for the soundtrack of the hit romantic comedy "Sprung." Saulsberry's compositions have been heard on daytime television as well: on December 23, 2010, his singular composition, "Miracles," aired on the Emmy Award-winning CBS-TV series, “The Bold and the Beautiful” (the most-watched soap opera in the world, with an audience of an estimated 26.2 million viewers). An immediate hit with B&B's devoted global viewing audience, “Miracles” is available for purchase on iTunes. As a soloist, Saulsberry has recorded two pop/R&B albums that spawned two Billboard chart singles, "I Wonder" and "Look Whatcha Done Now." As a recording artist and performer, he performed his songs on the iconic “Soul Train” TV show, and “Dance Fever.” A performer in the national touring company of "Your Arms Too Short To Box With God,” Saulsberry made his Broadway debut in the Jackie Robinson Musical, "The First." In 2011 and 2013, he received an NAACP Image Award nomination in the category of Outstanding Actor in a Daytime Drama Series for his role on The Bold and the Beautiful. "You Can Bank on Your Voice" and "Step Up to the Mic." Saulsberry is excited about making his music available to the masses through films, television and commercials. Which is precisely why he formed Tomdor Music. "I want to give my contribution to mankind in the form of my music,” he says. “Music makes the world go 'round, and I want to contribute to that soundtrack today, tomorrow and forever." Rodney Saulsberry currently stars as Anthony a street musician and former homeless man on the multi-Emmy© Award winning The Bold and the Beautiful. Learn more about Rodney at: imdb and rodneysaulsberry.com.